Songs of Eretz Poetry Review: New Poem: "Muse of the Christians"
New Poem: "Muse of the Christians"
"Muse of the Christians" is the latest poem in my Nelson-Atkins Ekphrastic Poetry Collection. 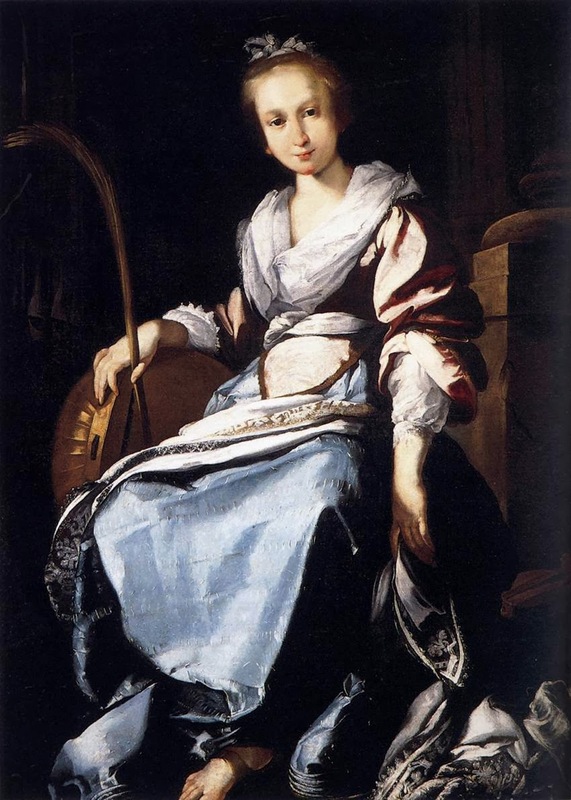 It was inspired by Bernardo Strozzi's painting, Saint Cecilia (pictured), on display at the Nelson-Atkins Museum in Kansas City. I was particularly struck by the artist's depiction of Saint Cecilia's eyes--dark, yet somehow also bursting with light. Saint Cecilia is the Patron Saint of Music, hence the title of the poem.